It’s not as though our Winters are getting colder or that we are experiencing longer spells of a Winter freeze, but when it does go below zero then we can reasonably expect to encounter a range of problems that may not have been there beforehand. 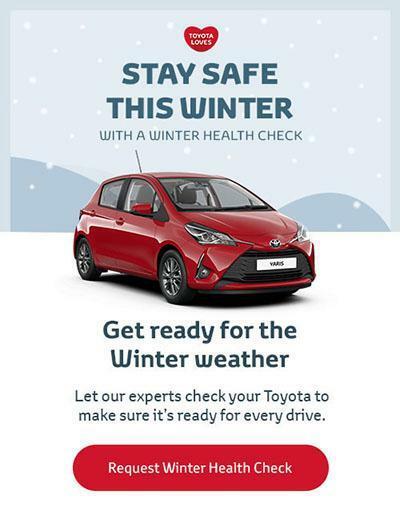 Here are a few tips to help your car cope with the colder climate and ensure your journey is trouble-free. Screen Wash This can be a costly item to replace if a quality screen wash has not been used. Replacement usually involves removing the front bumper to fit a new reservoir if it has cracked due to the water freezing and the pump can also suffer the same fate. A quality screen wash solution contains an antifreeze agent which when mixed to the correct ratio can prevent damage to the reservoir, jets, hoses and pump. More importantly is the safety factor of being able to see where you are going with a clear screen from when you start off ! Wiper Blades Always ensure that you switch off the automatic wiper function when leaving the car overnight. Once the ignition is switched on then the wipers may activate and destroy the blades or even the linkage, which can be a very expensive replacement. Also, ensure that the blades are in good condition to cope with the extra burden of clearing the windscreen in cold and wet conditions. Battery & Charging Batteries are more likely to fail during the Winter months due to the cold temperatures. Additionally, there is more strain on a Battery when the engine and Oil are colder. Sometimes, in extremely cold conditions, it helps to depress the clutch when turning the engine over as this disengages the transmission and allows the engine to turn over easier. Ensure the alternator is capable of keeping the Battery charged at an optimum level by testing the charge rate. Also, check the drivebelt is also in good condition and tensioned correctly. Tyres These are one of the least maintained items of the car. Considering they have such an important job to do and also considering they have such a small footprint on the road surface, driving in icy conditions demand that the tyres are in a safe, and legal condition and to the correct pressures to ensure a safe trip. Engine Coolant If the antifreeze content is low then this can create major expensive damage to the engine and associated components. When ice forms, it expands and this can crack radiators, engine castings and even freeze components such as the waterpump (which can be part of the camshaft timing belt assembly). Ensure that the antifreeze content is to the correct ratio and sufficient enough to cope with freezing temperatures by having it tested. Lighting The lighting system is vital during Winter months, not only for safety reasons but also for the legal aspect. You may not use your headlights much when driving in the Summer but chances are that most of your journeys during the Winter are in the dark mornings and evenings. Fuel System The cold temperatures can have an effect on the fuel system, although mainly with Diesel engines. Problems such as the Diesel fuel waxing and any water content freezing in the fuel filter. Allow extra time for the glow plugs to operate and replace any that are failing. Heating and Ventilation Ensuring that the cabin filter is replaced and the air conditioning system is functioning correctly can assist in the windscreen remaining clear for the duration of your journey. Brakes Make sure that the braking system has been checked periodically as it will need to be in good working order to cope with the colder temperatures. Brakes don’t tend to be too effective until some heat has been generated in the friction lining material, so don’t brake heavily until they have warmed up. ABS is obviously vital when driving in slippery conditions to ensure that there are no warning lights on the dashboard and if possible, check the operation of the system. Good advice, especially turning off auto wipers!